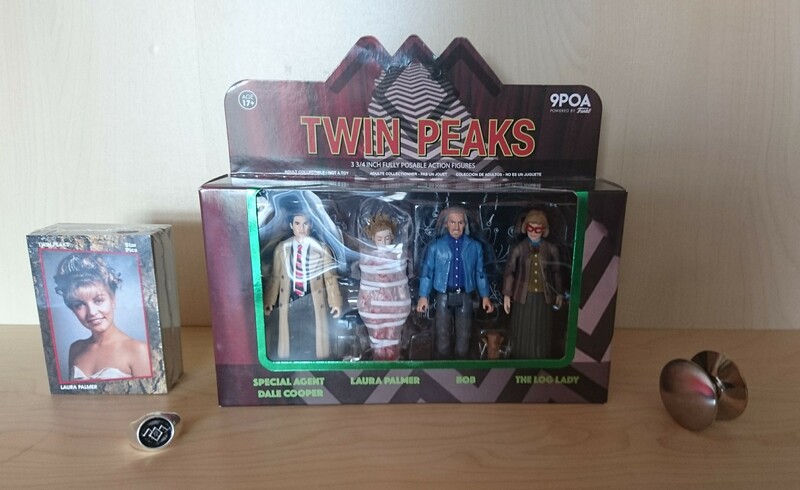 Behold: Action figure box set, trading card set, Lodge ring replica and Josie door knob (comic con 2008 sterling silver limited edition variant exclusive). I have the cards and action figures, but want that ring! Jealous! I have a Twin Peaks t shirt and a Double R Diner mug. I also have The Secret History book, the Secret Diary of Laura Palmer and a critical book by Boulegue on Twin Peaks. I also have the DVD of the first 2 series and the Fire Walk With Me film.